So for the first time since my first car (I'm up to car 5 now) I don't own a Fiat... It's been an interesting ride having absolutely loved my '92 Fiat Panda but couldn't find a worthy successor. 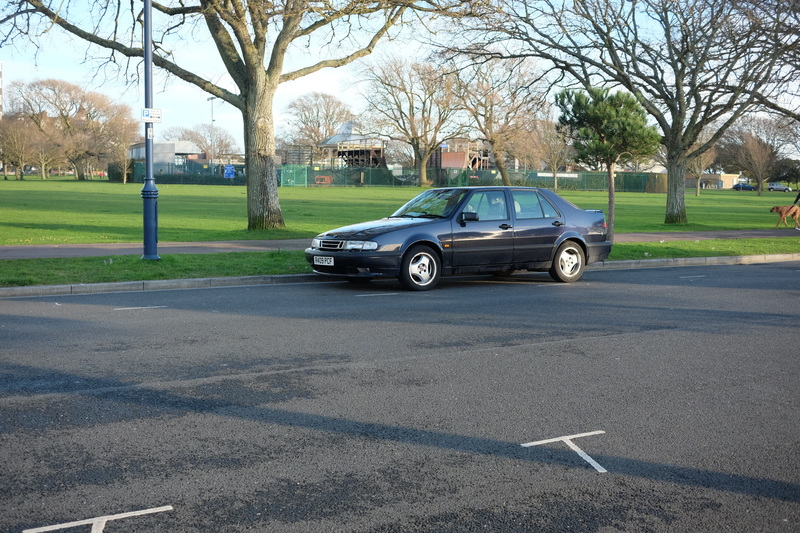 So I've ended up with the Swedish, its still vaguely a Fiat, its pre-GM and based on the Fiat type four platform. It cost me approximately 25p, has some niggles but it's a lovely car. Last edited by Didge3; 21-03-2018 at 18:51. Always loved the 9000 series, Saabs in general really but particularly the 9000..
Any updates or just keeps tanking? I'll get some more pictures up soon but so far its just being a daily driver really. Had some hiccups along the way including losing most of its coolant on the hard shoulder of the motorway, but once I got it to stop leaking it managed the rest of my 80 mile trip before I got it sorted (mostly). Well I have an actual update now, car now has a stage 1 tune on the ECU and the boost controller that the Aero's have to allow the ECU to manipulate the boost level. 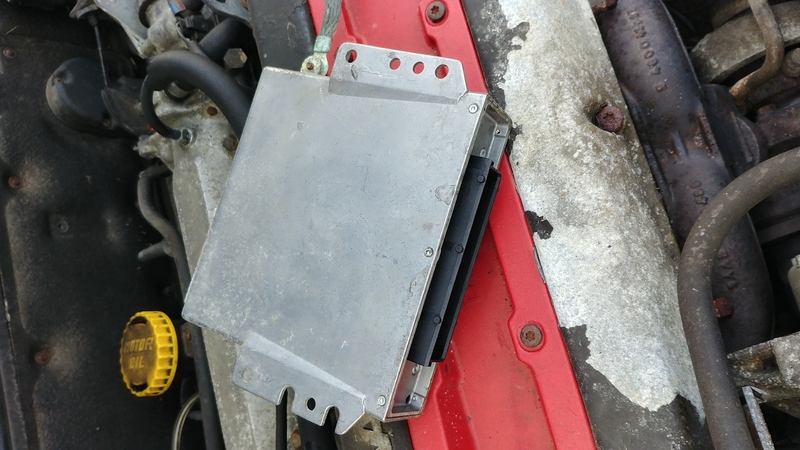 Also whilst hammering it on a slip road suddenly heard lots of hissing and boost dropped considerably, pulled over and checked all my new vacuum lines assuming one had popped off, all fine, got back in and drove a bit further and realised the hissing was very loud in the car and not out. Line had popped off the back of the boost gauge So temporarily disconnected until I can be bothered to get at the back of it. But does it have JDM style wipers? Cool car though,I do like old school Saabs. No JDM wipers unfortunately (?) Can indeed do a one-wipe without having to turn them on. It did have pointless headlight wipers (pointless in England anyway) but I removed them a while ago. 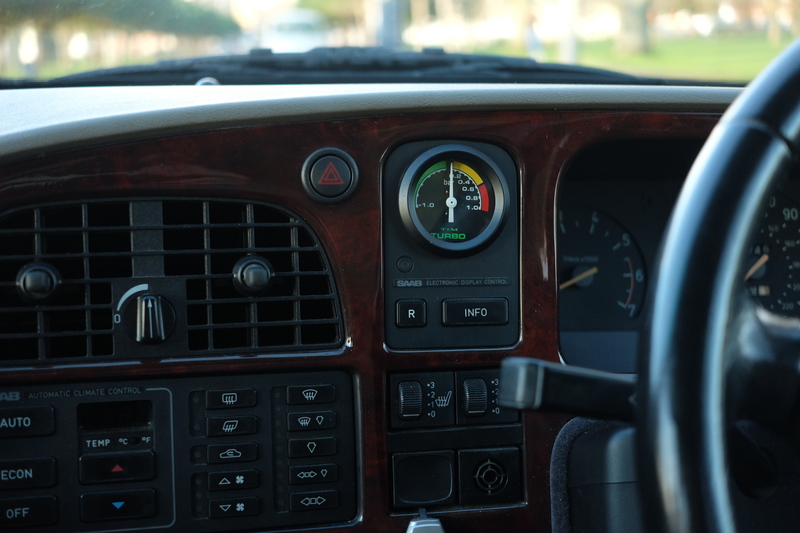 Saab 9000 sister car to lancia thema essentially same cars apart from badges and engines. probs made of thicker metal than a thema lol, i'd rather crash a saab anyway lol. Thicker metal but means more metal to rust, at the age they are now, mine being the last production year, its got some frilly bits. Its mainly body parts rather than the underpinnings so with regards to MOT its clean sheet but one of my front wings is awfully bubbly! 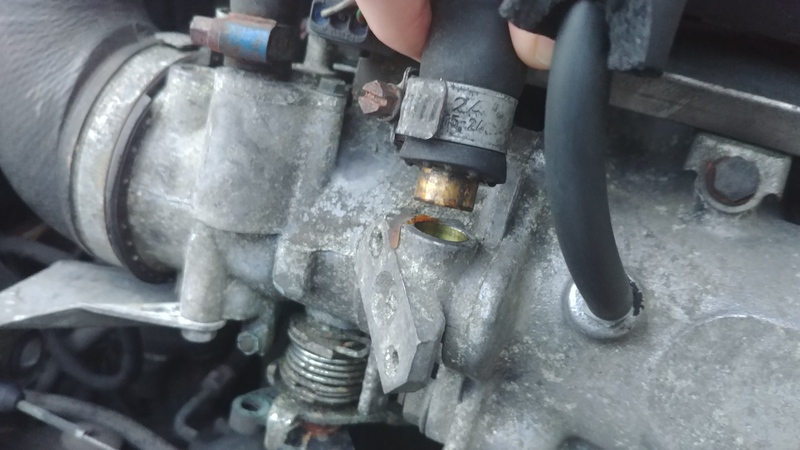 Turns out common issue when you turn up the boost on these when they're old, the brass fittings can get forced out of the intake manifold giving you a big ole' vacuum leak. Tape! Worked surprisingly well, holding the fitting in place at least but its not sealed against anything. I've gotten some JB Weld to stick the old bit back into the manifold. Last edited by Didge3; 19-01-2018 at 16:48. 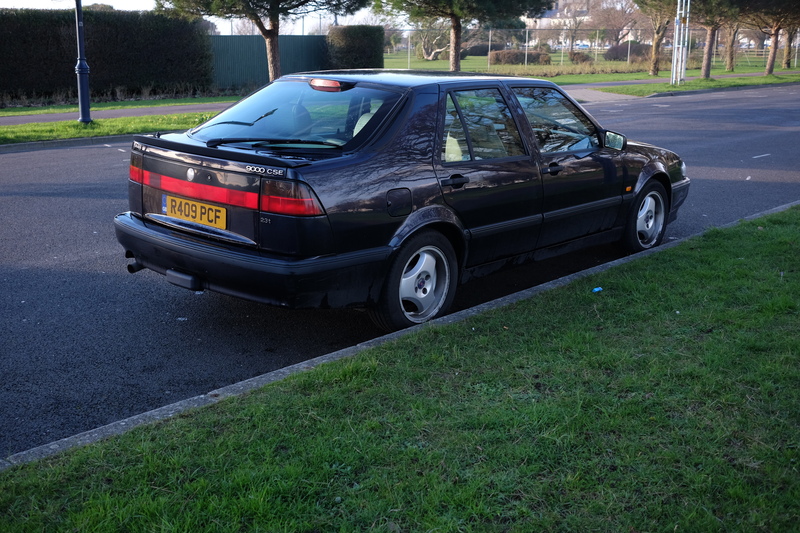 We're now calling him Ropey as he's getting it by the day, got another year ticket under the belt, only failed on some disintegrated jubilee clips and headlight adjuster being broken, both of which fixed myself, cheapest MOT failure I've ever had at £9. Unfortunately not all is well, I'd forgotten about last years intermittent cooling leak problem which after quite a bit of troubleshooting turned out to be the expansion tank which has a small crack in it, once the coolant expands enough it all leaks out rather quickly... What did I do upon working this out last year? Leave it partially filled and carried on! Clutch slipping has gotten to the point of having to use the throttle very gingerly at motorway speeds so I've unplugged my 'boost controller', its a original Saab electronic valve of sorts that when the ECU tells it everything is ok (knock detection, engine temperature, engine RPM) it'll allow full boost, if one of those things isn't within spec it'll limit boost. 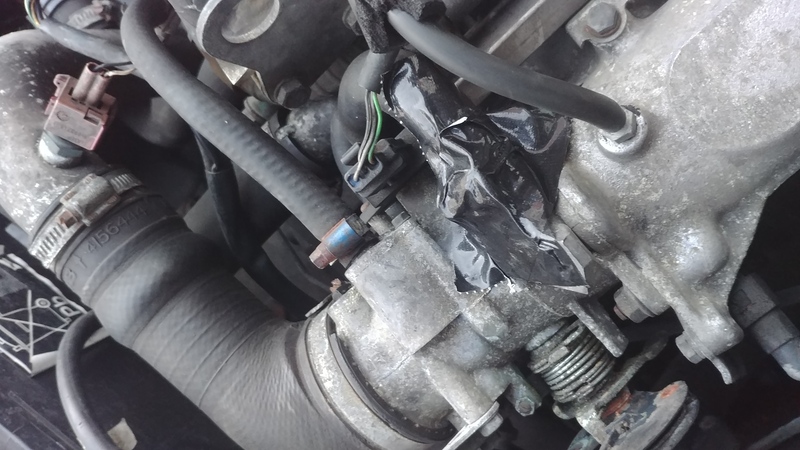 By unplugging it I've sent it back to the basics of the mechanical wastegate which is only allowing 5psi, down from 18... But it no longer slips in any gear with my foot firmly in the carpet. Still going, just hit the 160k mile mark, clutch still slips in high boost but I drive it very economically nowadays to cut down my astronomical fuel bill. £100 per 250 miles ish because its all commuting in slow traffic. I was saving to get the clutch and various other bits fixed but I've come to the conclusion the car isn't worth it to me, its completely impractical for what I need, too big for driving in a city with a heavy clutch, heavy steering and of course its very thirsty. So instead I'm redirecting my savings into a new car altogether. I'll have to try to flog the Saab because it'd be horrible to scrap it, its got so many parts that would probably go to waste otherwise. MOT runs till March so hopefully I can flog it with 2-3 months left on it so a new owner can at least have a few months of not worrying about it! SOLD! Clutch was still going after all those miles but the fuel gauge started to play up, engine mounts where starting to fall to bits and it needed 3 tyres so called it a day. Lost £100 on it from the initial purchase price in 2 years of ownership.